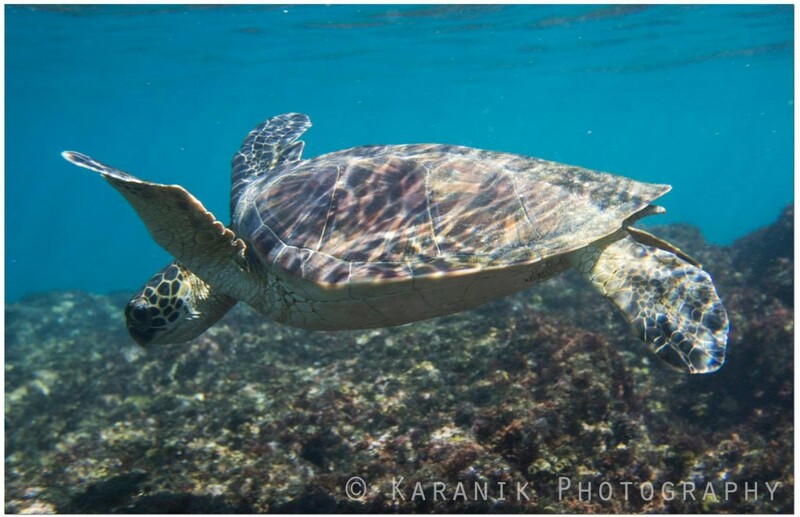 A Hawaiian green sea turtle casually flies through clear ocean water just above a shallow reef keeping a keen eye out for a bite to eat. Sea turtles in Hawaii spend much of their day looking for something to munch. Then, after filling up on tasty algae and other food, unlike other sea turtles, Hawaiian turtles take to the shoreline for some sunbathing and rest time.